This group of plants, as a whole, are not generally valued for their flowers. but all have very ornamental foliage. 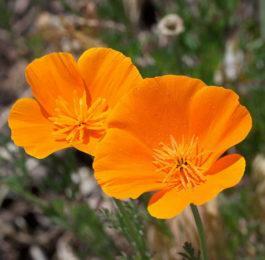 The plants are almost as hardy as Oaks, yet are very attractive when in bloom from August until frost-time. The flowers are borne on long. graceful stems, divided like a plume, and are either light creamy or yellowish-white in color. The foliage is very finely cut and Varies from light gray to dark green. SPECIES. Hawthorn-scented Mugwort. A. lactiflora is one varietys which grows 5 feet high. Its fragrant flowers are produced in late Summer and combines well with the Golden Glow, Buddleia, Hardy Asters, Boltonia, Helianthus and many other of the taller Fall blooming perennials. It shows a tendency to disappear like the Auratum Lily does. Southernwood, Old Man (A. Abrotanum) is one of the old-fashioned border plants. It has yellowish-white flowers and is usually grown for its handsome dark green, pleasant scented leaves. Old Woman (A. Stelleriana) is of creeping habit with silvery white foliage and is one of the showiest of this type of border plants. It grows rapidly and soon covers a large space. 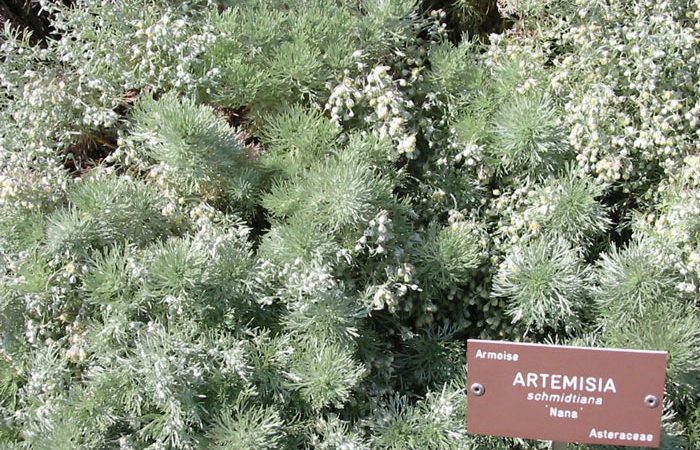 A. Purshiana grows about 1 1/2 feet high and has white foliage. The Summer Fir or Annual Pine (A. saccrorum) is an annual introduced from China which because of its fine foliage and rapid growth has become popular for foliage masses. UTILIZE. Old Woman is much used for carpeting beds or borders. It is good also for the rock garden. The taller plants are used to fill in the shrubbery or as backgrounds or hedges for the lower growing flowers. The foliage and flowers are sweetly scented and adapt themselves well to pot culture and as such are as decorative as many of the Acacias which are prized so much. 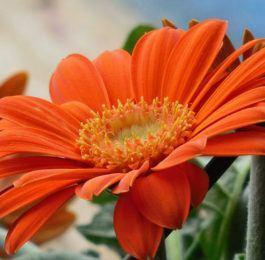 The blooms also make attractive cut flowers and last well. PROPAGATION.They may be grown from seeds, but are usually propagated by division or by cuttings.